Another gorgeous photography session here in the studio. This family was celebrating the birth of their new baby girl with a newborn session filled with flowers. We had such a wonderful time together and we were able to build a beautiful image gallery to show off this tiny infant! Another completely wonderful session with this little girl this week. She was a dream to photograph and is truly gorgeous. She has already been asked to be a model for the teddy bear headband (in use here) and will be featured on a newborn website. Not too shabby for 8 days old! 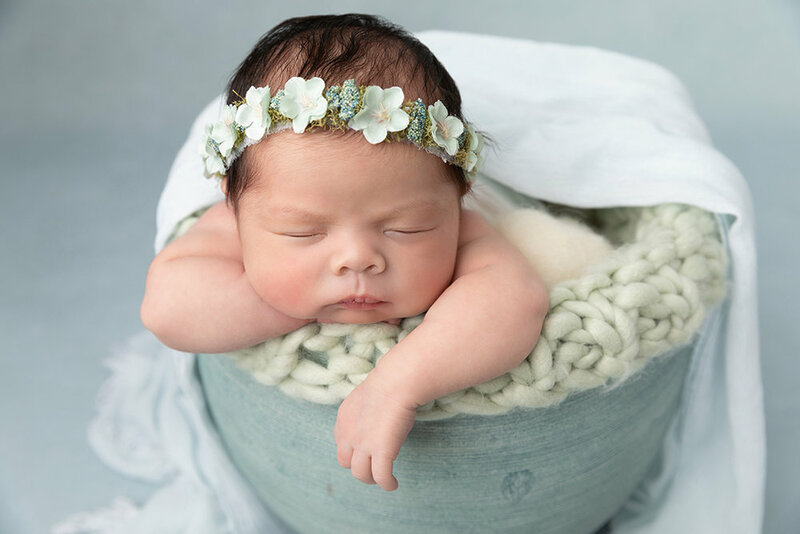 Oooohhhhh....this newborn photo session!! The parents were so gorgeous and cool...the baby just perfection! We started the session focusing just on the baby, and added some wonderful images of the parents once the baby photos were all done. The gallery is just amazing. Here are some of my favorite shots!